With all the traveling I'll be doing this week (and many others as well for Thanksgiving! 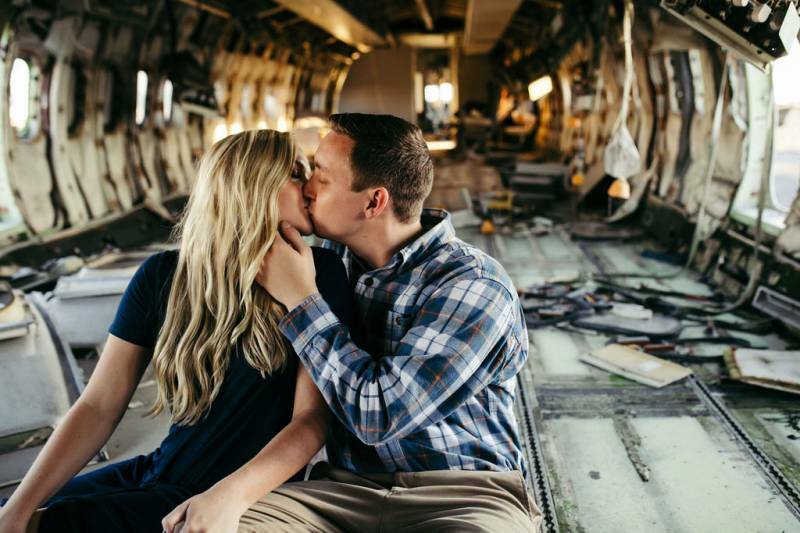 ), I thought it would be appropriate to share Charlie + Trevor's abandoned plane engagement session with you today! Oh my word - when their photos graced my inbox, my jaw dropped! 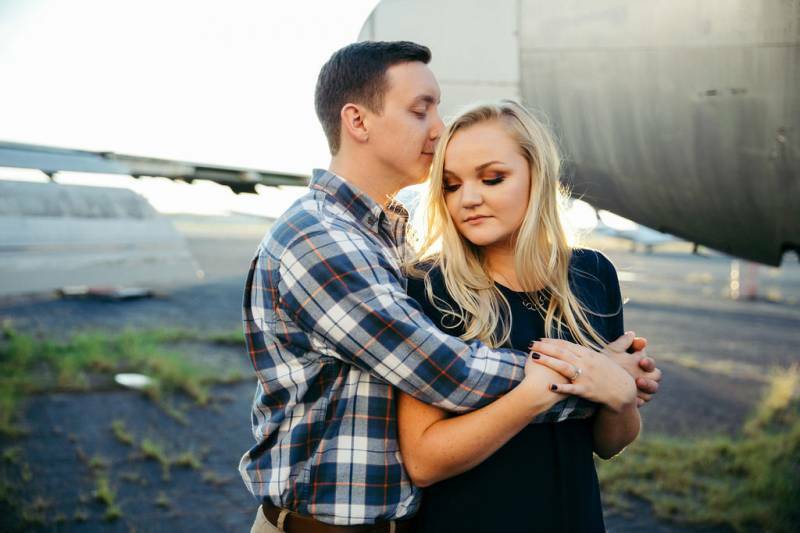 SheHeWe Photography captured the most epic engagement portraits of this aerospace-loving couple. 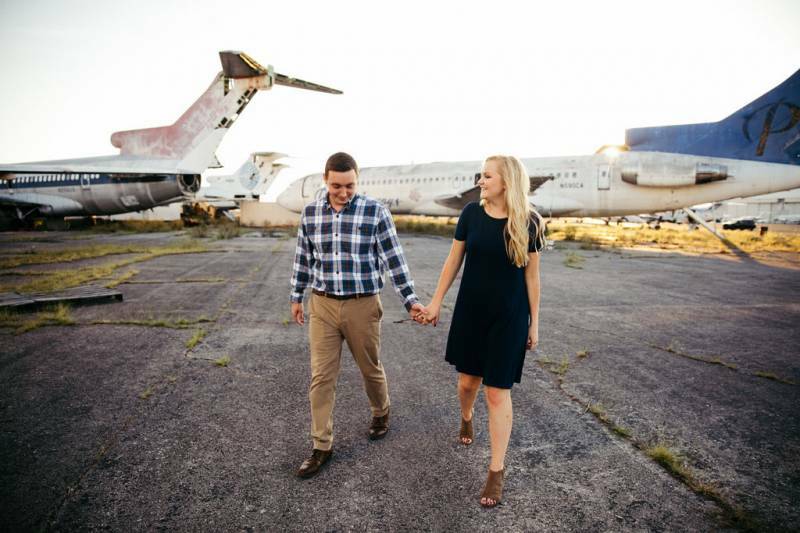 Yes, you read that right - both Charlie + Trevor studied aerospace engineering at MTSU, got engaged on a plane and have studied planes to the max! Which means they had to shoot at the Smyrna Airport - you couldn't find a more perfect place! See their photos from SheHeWe Photography below along with an interview with Charlie! 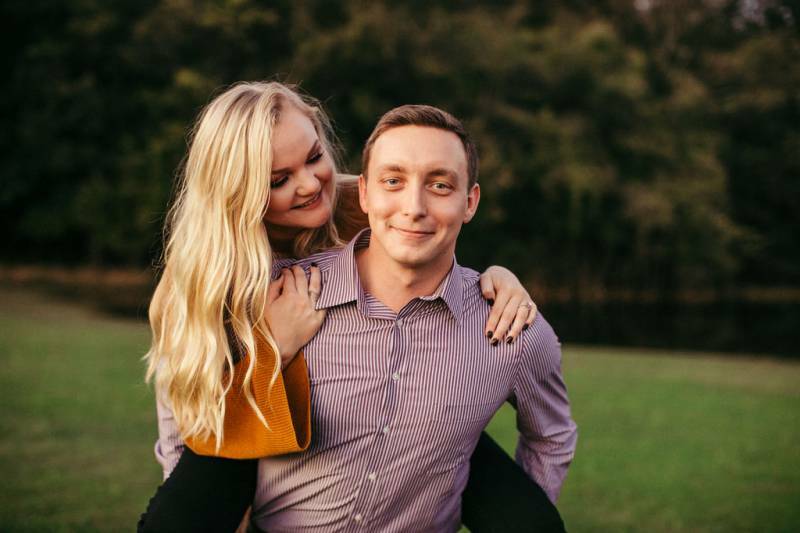 How did you get engaged? Tell us about your proposal! 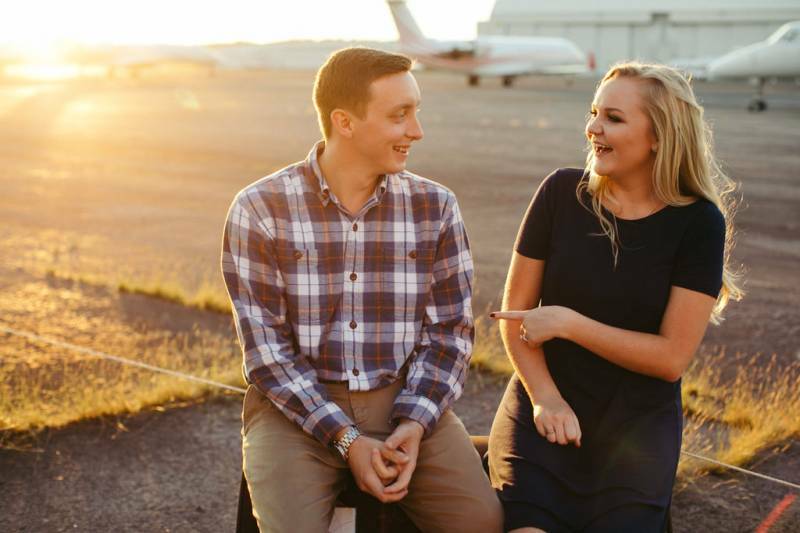 Charlie: My fiancé and I both studied Aerospace at Middle Tennessee State University. One of my best friends asked me to come to the flight school to see a new airplane that our university had recently won. On our aircraft ramp, we have a Boeing 727 that was donated by FedEx. When I turned around to walk back inside, I notice people walking out onto the wing of the B727. I looked up to see who it was and noticed that it was my best friend, my family, and my fiancé's family, all holding signs that said "Charlie will you marry me?" I was so surprised and couldn't believe what was happening. 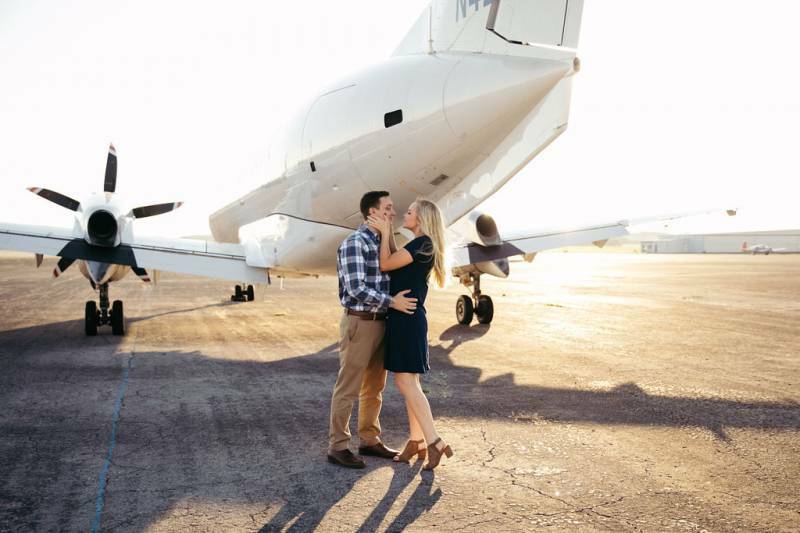 Trevor walked around from the back of the airplane, got down on one knee and asked me to marry him. It was the most thoughtful proposal, because he took the time to make sure the people that we both cared about the most were involved. Who have you hired for your wedding team so far? 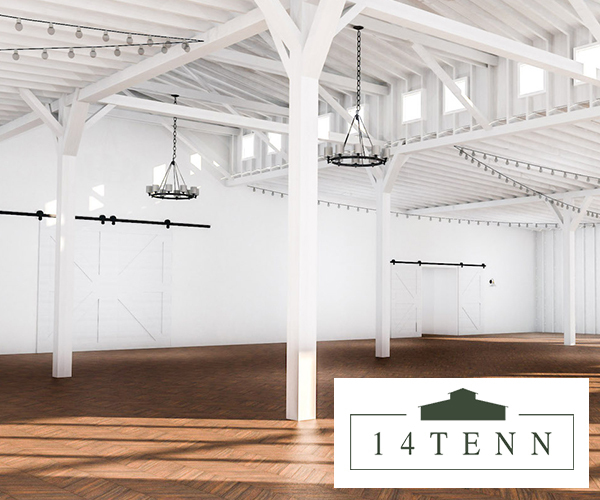 Charlie: We have decided to go with an all-inclusive venue - Graystone Quarry in Franklin. We hired SheHeWe Photography, Jim & Ilde, for our photography and videography. I am still on the hunt for hair & makeup. So far, we are extremely pleased with our choices. Charlie: I really love a mix of a ton of different styles. Mostly a blend of boho chic, minimalistic, and geometric. Kind of all over the place! What aspect of being engaged has surprised you the most? What have you most enjoyed? Charlie: How quickly the time passes! 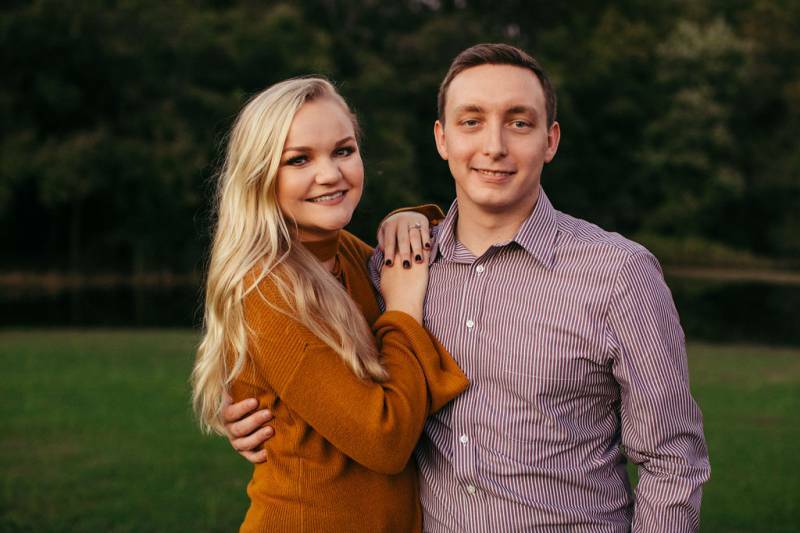 We started with a 13 month engagement and now we are halfway there. Time flies when you're having fun! I've really enjoyed this season of life. It's such a short period of time compared to the rest of our lives, so I am really soaking up as much as I can. 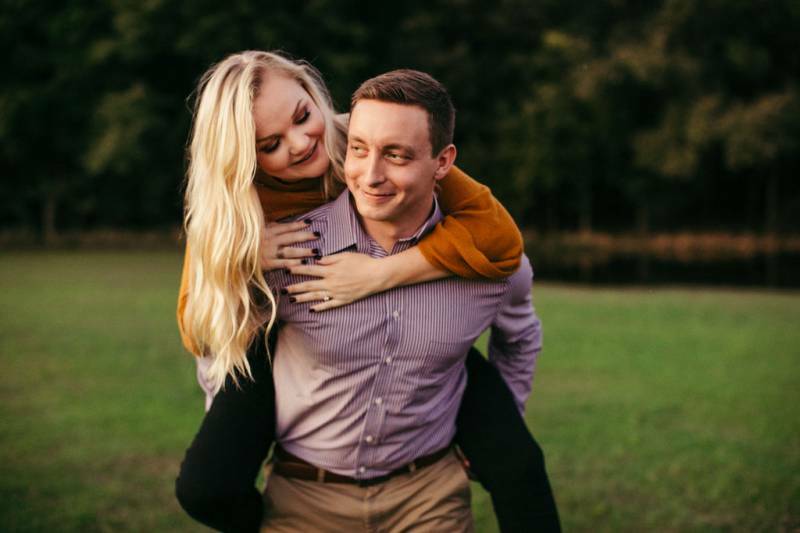 Tell us all about your engagement session! Where did it take place? 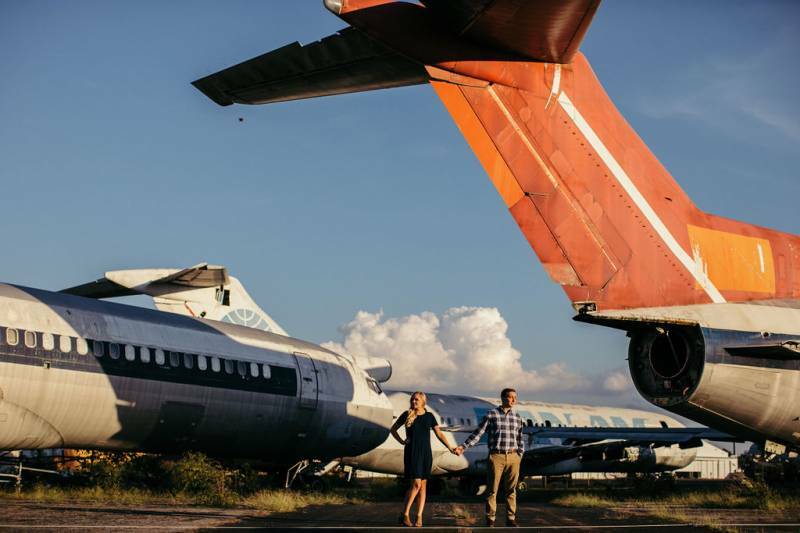 Charlie: We did our engagement session in an aircraft boneyard at Smyrna Airport. 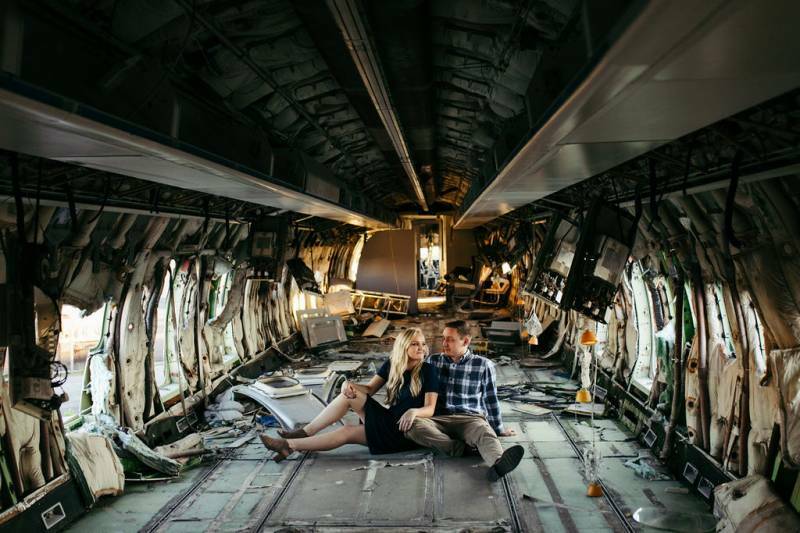 It's filled with abandoned Boeing 727s and small turboprop Jetstream aircraft. I love the history behind each of those airplanes, such as where they've been and who they have carried. What is the significance of the location - The Smyrna Airport? Charlie: As stated earlier, Trevor and I both studied Aerospace at MTSU. 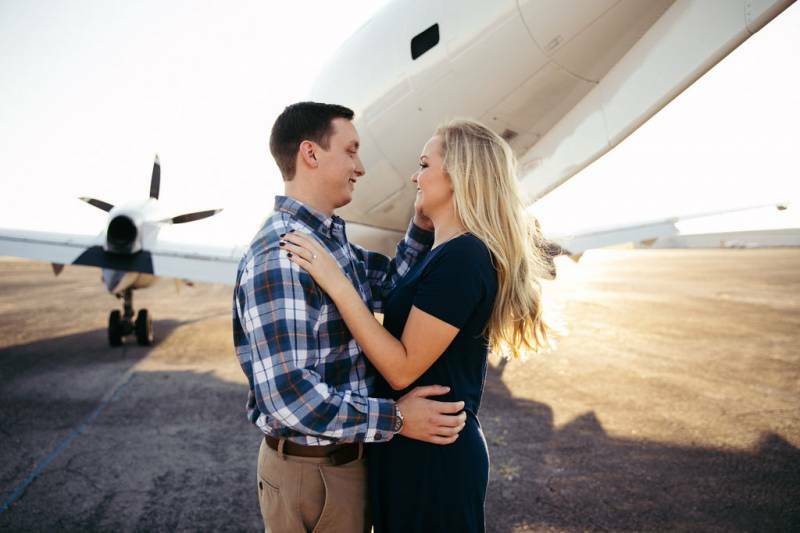 We worked as flight instructors at the flight school and spent a lot of time flying into Smyrna Airport. Every time I landed there, I would look over at the boneyard and think about how awesome it would be to take pictures there one day. 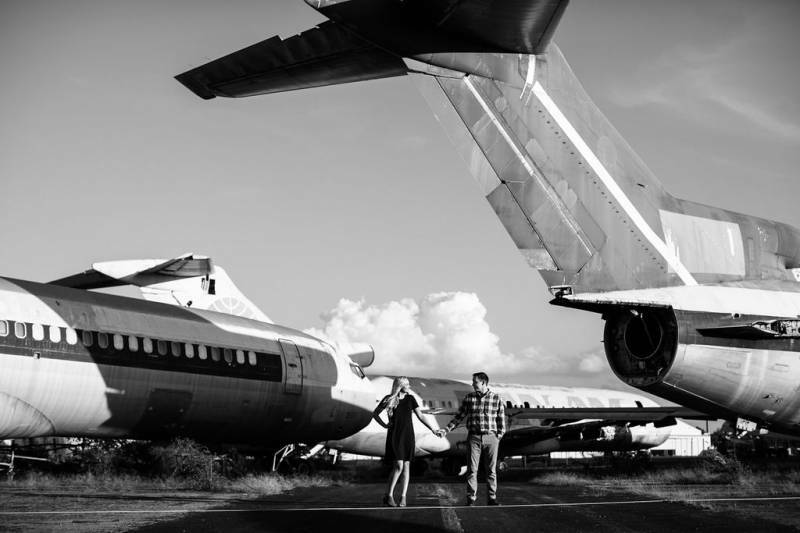 It really was the perfect setting to mix my two favorite things together - Trevor & airplanes. Charlie: Our photographers are a married couple, Jim and Ilde. Unfortunately Jim was out of town with other business, so we only shot with Ilde. Let me tell you, she is the sweetest person and will immediately make you so comfortable. Unless you are a model, it's so awkward to pose in front of a camera. She made the atmosphere feel so light and welcome. 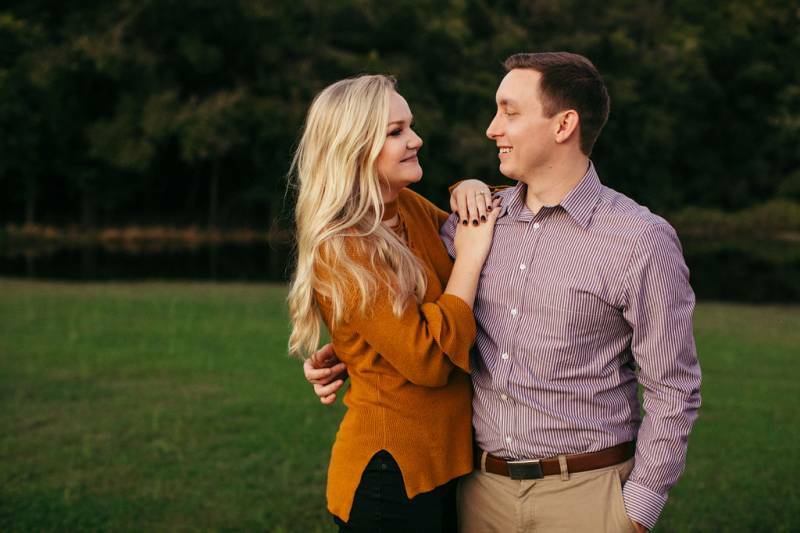 We adored her and cannot wait to work with her and Jim on the wedding day. 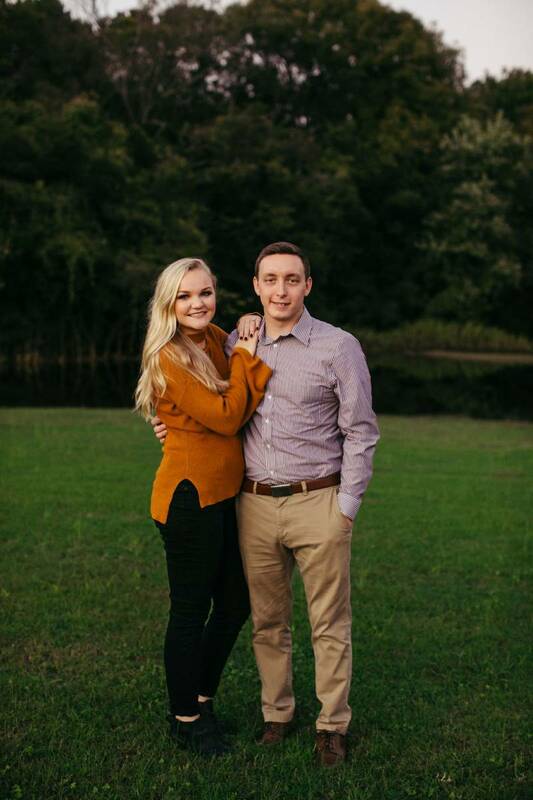 What did you like most about your engagement session? 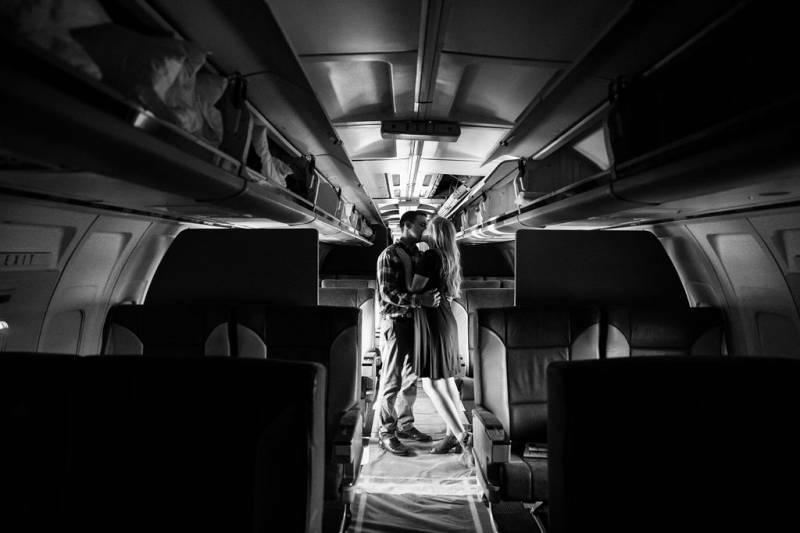 Charlie: During the session, we went into some of the aircraft. Some of them looked like they had been abandoned and broken down for years, and others looked like they had just landed from a flight 30 minutes ago. The aircraft made for some really cool shots and we are extremely happy with how they turned out. 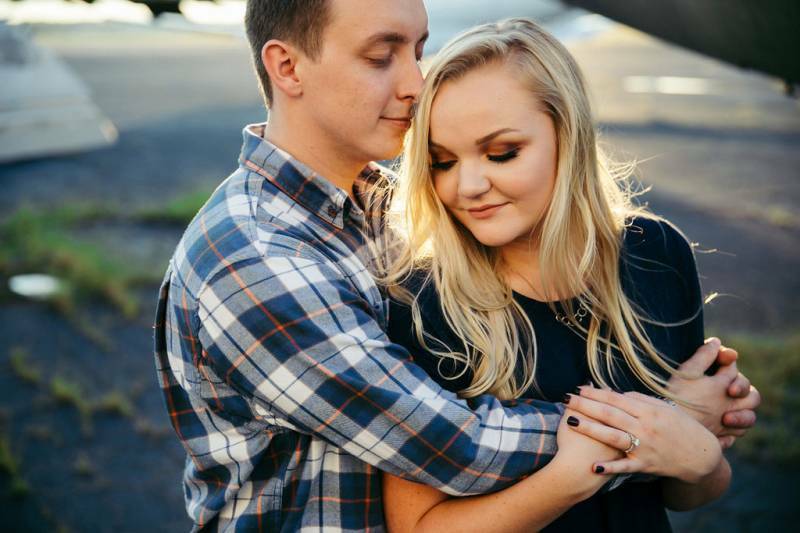 Wow - what an incredible engagement session! 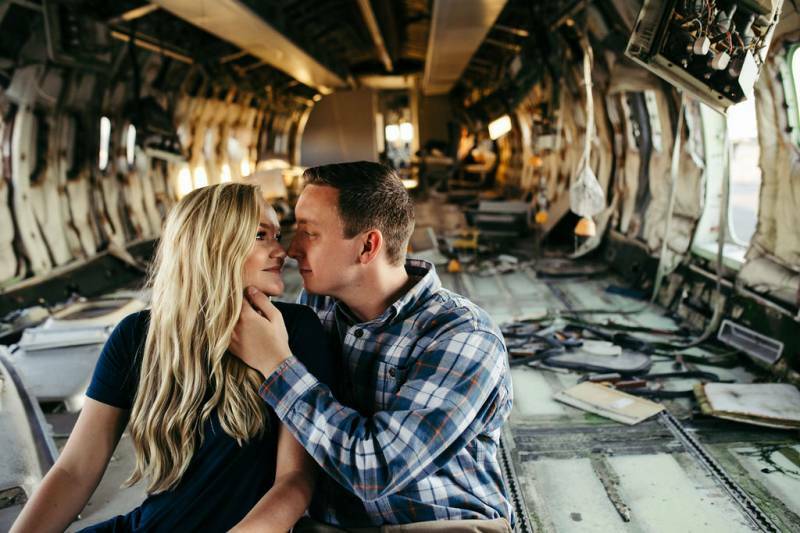 Thank you so much to Charlie and Ilde for sharing the photos and story of the abandoned airplane engagement session with us! You can check out more on SheHeWe Photography here online: http://shehewe.com/. And also catch them over on Instagram for the latest!